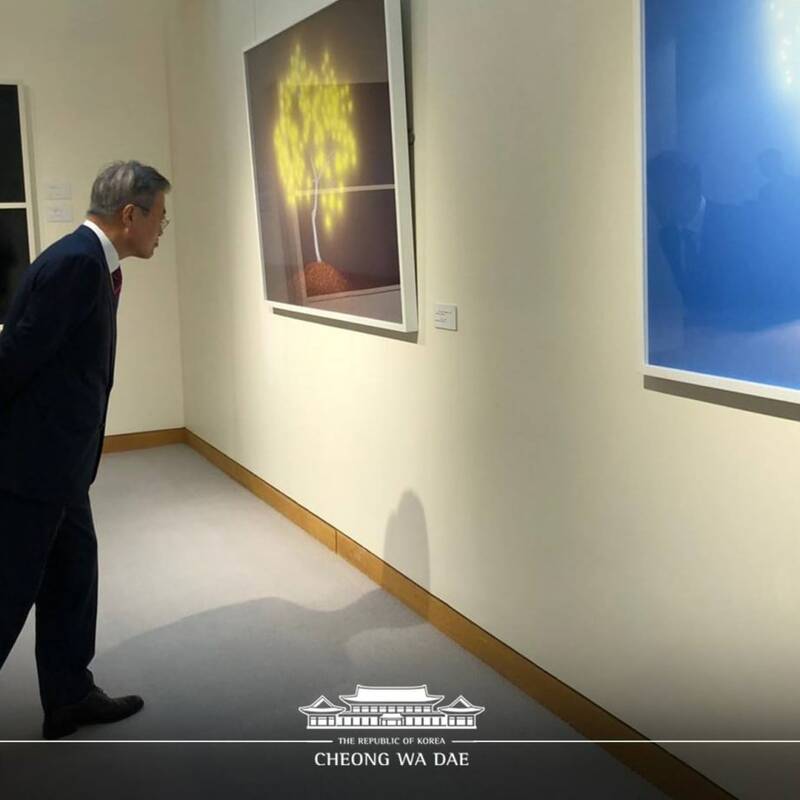 South Korean President, Moon Jae-in, has been enjoying the artworks by Lee Jeonglok at the gallery in the Permanent Mission of the Republic of Korea to the United Nations in NY. Represented by Pontone Gallery, Lee Jeonglok is a Korean artist who uses photography to create and record his world. He makes mysterious and evocative images of strange and magical events. These happen in carefully chosen, personally significant landscapes, realised by a thorough mastery of photographic technique. 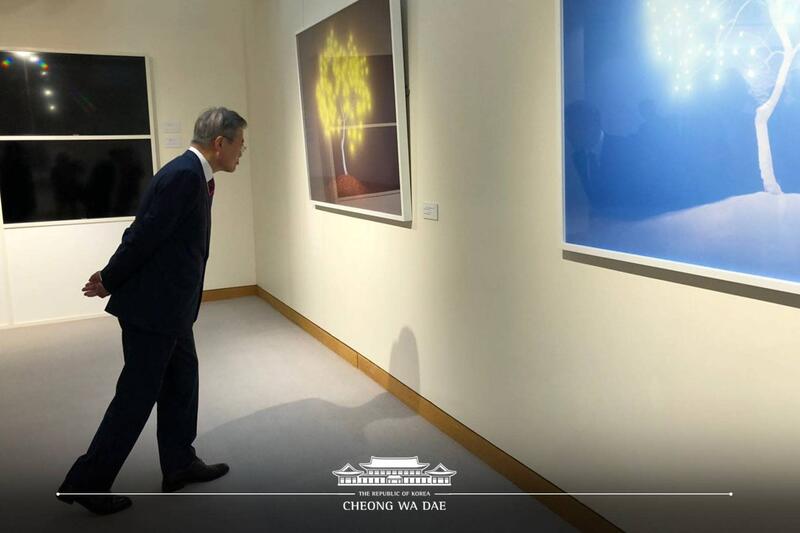 President Moon Jae-in's admiration for Lee's work is testiment to the skill and innovation of the artist.